LUK 542024810GDP. Volvo GM 3936347. The information about the donor vehicle, mileage, and warranty is found below. Model:HEAVY DUTY-KENWORTH 1999. Year: 1999. Best Diesel CALL US ANYTIME and Let Us Arrange the Details!! English/Spanish PHONE: [ 1] 865-415-7068 PARTS SHIP FREE! 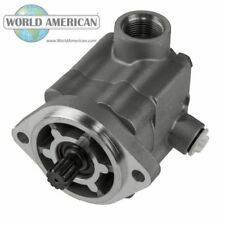 PART SPECIFICS Price: $269.99 (NO CORE CHARGE) Make: VICKERS POWER STEERING VANE PUMP WITH NEWSTAR KENWORTH REMAN PART NUMBER PART#: VICKERS# F3-V20F-1P8P, KENWORTH REMAN# K188-232 Stock#: 319155 Description: (USED) VICKERS DIESEL ENGINE POWER STEERING WITH NEWSTAR KENWORTH REMAN PART NUMBER, VICKERS PART# F3-V20F-1P8P, KENWORTH REMAN PART# K188-232 , STOCK# 319155. For more information contact us directly. [ 1] 865-415-7068 or send us a message through Ebay. PRICE(USD): $269.99 NO CORE! FREE SHIPPING! For more information about this listing, shipping, technical questions, warranty, terms and conditions, you can CALL us at [ 1] 865-415-7068 and email us through Ebay. We can ship your PART where you need it on the road. Applies To Cummins C10/C12/ Big Cam,6BT/K/worth. Condition: New. Select model. Flow 16 L/MIN. Part# LP05V20FCK. Levy Kenworth Vickers. 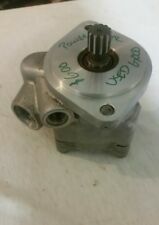 Power Steering Pump. No handling fees. In good conditions sold as is. Kenworth - Peterbilt. Kenworth K188265. Peterbilt 100520. Kenworth K188-265. Peterbilt 10-02520. 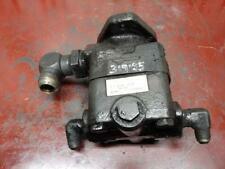 Power Steering Pump. Kenworth - Peterbilt. Kenworth K188231. Kenworth K188-231. Kenworth K188344. Peterbilt 21370327. Kenworth K188-344. Peterbilt 02-137032-7.